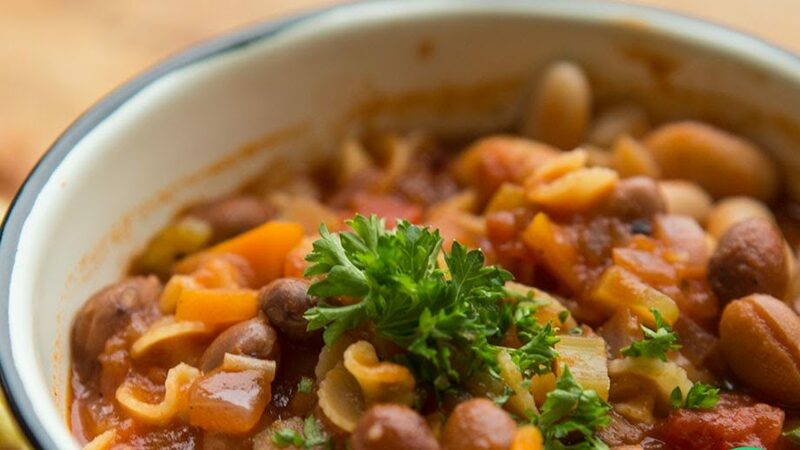 Tuscan Bean Soup is the perfect one pot meal for stormy weather and busy weeknights! Also, it’s super healthy! Save some and freeze ahead for next time. SAUTE the onion for about 5 mins or until soft. STIR in the garlic, carrot and celery and cook for a further 5 mins. ADD the tomatoes, tomato purée, stock and seasoning. BRING to the boil, then reduce the heat to a simmer, cover and cook, stirring occasionally, for 20 mins or until the vegetables are soft. REMOVE half of the vegetable mixture and blend until smooth in a food processor. Return to the pan. ADD the beans & pasta, and simmer for a further 10 mins or until the pasta is cooked. If using pasta add an extra 200ml of water. 5. SERVE & garnish with some chopped parsley.